Techelet: Do You Really Need the Hilazon? Is the Hilazon an Integral source of Techelet? Threads of sheep wool dyed to the color ‘techelet’ were an essential component of the Bigdei Kehunah – the Priestly garments. Without wearing his special garments prescribed in Parshat Tetzaveh, (Ex. 28:5) all of the rituals performed by him in both the Mishkan (Tabernacle) and the Temple were not valid. We also find, in Parshat Shlach, (Num. 15:38) that the tzitzit – fringes hung from the four corners of a man’s garment also contained threads of techelet. For close to eighteen hundred years, techelet was lost and our tzitzit are considered valid with only white threads. According to the Talmud, (Menahot 42b) techelet is extracted from a living sea creature known as the hilazon (חלזון). Because the techelet industry was lost in ancient times, so was the identity of the hilazon. Over the last one hundred and fifty years, some Jewish researchers have dedicated themselves to identifying and finding the hilazon for the purpose of reinstituting the production of techelet. Currently, there are two versions of techelet that have achieved some acceptance within the community. The second version was opined by Rabbi Isaac Herzog (1889 – 1959) to be an extract from the murex trunculus snail and has been researched by a number of scientists since Rabbi Herzog’s 1913 doctoral thesis on the subject. The Ptil Tekhelet organization produces this version of techelet for general consumption. Rabbi Yechiel Michel Tukchinsky, a contemporary of Rabbi Herzog, questioned the authenticity of identifying the murex trunculus with the hilazon. In his book, עיר הקודש והמקדש – ‘Ir Hakodesh ViHamikdash, (sec. 5, Chap. 5) Rabbi Tukchinsky discusses the possibility of offering sacrifices in modern times. He debated whether or not techelet was non-essential in the bigdei kehunah just as it has been decided to be non-essential to the performance of tzitzit. In chapter 5:3, Rabbi Tukchinsky raises the following issue: Is the Talmud’s requirement to produce techelet from the hilazon axiomatic or not in Jewish law? If it were possible to produce techelet synthetically, without the hilazon, would such product be fit – kosher – for both tzitzit and bigdei kehunah? Rabbi Tukchinsky attempts to demonstrate, with a high level of erudition, a convincing argument that hilazon was only required by the Sages because it produced the proper color and permanent adhesion to the wool. 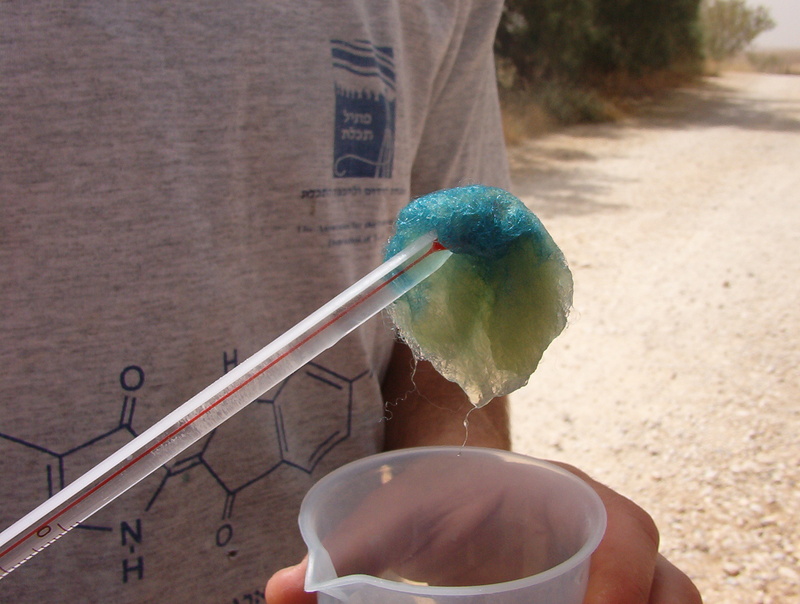 Other plant extracts (Kala Ilan – קלא אילן) produced the right color, but washed out from the fabric over time. Using hilazon was not a strict requirement by any long standing tradition (הלכה למשה מסיני). Rabbi Tukchinsky speaks mainly in theory. He accepted neither Radziner nor murex as the hilazon and simultaneously doubted that either of the two met the Talmud’s criteria or produced the proper color. He does however concede that some Talmudic sources seem to reject any alternative to the hilazon product. Nevertheless, he felt that even those sources could be answered so as not to pose a difficulty to his theory that techelet could be synthesized from a source other than hilazon provided that target color and permanency. If Rabbi Tukchinsky’s theory is correct (and should it be established that either the Radziner or murex trunculus is in fact the hilazon of the Talmud), science would need only need to analyze the techelet’s chemical makeup and discover the chemical compounds responsible for its color (as well as its ability to permanently adhere to wool). Once that succeeds, we currently have the technology to mass produce synthetic techelet for all our ritual needs. 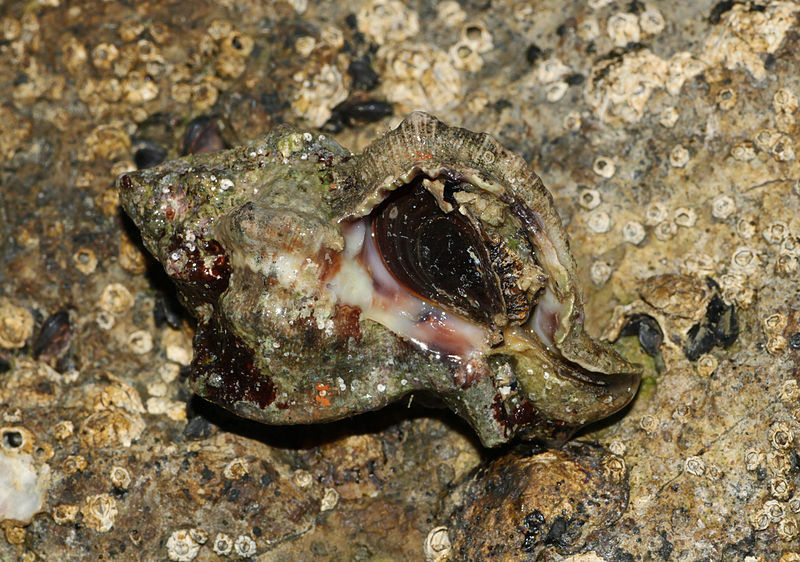 Ptil Tekhelet would no longer have to purchase surplus murex trunculus all the war from the Black Sea via fishermen who sell the snail primarily to restaurants in the Balkan states. And, if Rabbi Tukchinsky is correct, science and technology would be instrumental again in helping Jews observe Judaism. 0 Responses on Is the Hilazon an Integral source of Techelet?"